On November 14 Technology Salon NYC met to discuss issues related to the role of film and video in development and humanitarian work. Our lead discussants were Ambika Samarthya from Praekelt.org; Lina Srivastava of CIEL, and Rebekah Stutzman, from Digital Green’s DC office. Raising awareness about an issue or a brand and serving as an entry point or a way to frame further actions. Community-led discussion/participatory media, where people take agency and ownership and express themselves through media. Catalyzing movements themselves, where film, video, and other visual arts are used to feed social movements. Each of the above is aimed at a different audience. “Raising awareness” often only scratches the surface of an issue and can have limited impact if done on its own without additional actions. Community-led efforts tend to go deeper and focus on the learning and impact of the process (rather than the quality of the end product) but they usually reach fewer people (thus have a higher cost per person and less scale). When using video for catalyzing moments, the goal is normally bringing people into a longer-term advocacy effort. In all three instances, there are issues with who controls access to tools/channels, platforms, and distribution channels. Though social media has changed this to an extent, there are still gatekeepers that impact who gets to be involved and whose voice/whose story is highlighted, funders who determine which work happens, and algorithms that dictate who will see the end products. Social-emotional learning, where video is shown and then discussed to expand on new ideas and habits or to encourage behavior change. Personal transformation through engaging with video. How can we improve impact measurement? Digital Green measures behavior change based on uptake of new agriculture practices. “After the agriculture extension worker shows a video to a group, they collect data on everyone that’s there. They record the questions that people ask, the feedback about why they can’t implement a particular practice, and in that way they know who is interested in trying a new practice.” The organization sets indicators for implementing the practice. “The extension worker returns to the community to see if the family has implemented a, b, c and if not, we try to find out why. So we have iterative improvement based on feedback from the video.” The organization does post their videos on YouTube but doesn’t know if the content there is having an impact. “We don’t even try to follow it up as we feel online video is much less relevant to our audience.” An organization that is working with social-emotional learning suggested that RCTs could be done to measure which videos are more effective. Others who work on a more individual or artistic level said that the immediate feedback and reactions from viewers were a way to gauge impact. The goal of participatory video is less about engaging external (international) audiences or branding and advocacy. Rather it focuses on building skills and capacities through the process of video making. Here, the impact measurement is more related to individual, and often self-reported, skills such as confidence, finding your voice, public speaking, teamwork, leadership skills, critical thinking and media literacy. The quality of video production in these cases may be low, and videos unsuitable for widespread circulation, however the process and product can be catalysts for local-level change and locally-led advocacy on themes and topics that are important to the video-makers. Ambika noted that there are often challenges related to incentives and compensation when filming with communities for organizational purposes (such as branding or fundraising). Organizations are usually willing to pay people for their time in places such New York City and less inclined to do so when working with a rural community that is perceived to benefit from an organization’s services and projects. Perceptions by community members that a filmmaker is financially benefiting from video work can be hard to overcome, and this means that conflict may arise during non-profit filmmaking aimed at fundraising or building a brand. Even when individuals and communities are aware that they will not be compensated directly, there is still often some type of financial expectation, noted one Salon participant, such as the purchase of local goods and products. Working closely with gatekeepers and community leaders can help to ease these tensions. When filmmaking takes several hours or days, however, participants may be visibly stressed or concerned about household or economic chores that are falling to the side during filming, and this can be challenging to navigate, noted one media professional. Filming in virtual reality can exacerbate this problem, since VR filming is normally over-programmed and repetitive in an effort to appear realistic. Participatory video tends to have less of a challenge with compensation. “People see the videos, the videos are for their neighbors. They are sharing good agricultural or nutrition approaches with people that they already know. They sometimes love being in the videos and that is partly its own reward. Helping people around them is also an incentive,” said one person. There were several other rabbit holes to explore in relation to film and development, so look for more Salons in 2018! To close out the year right, join us for ICT4Drinks on December 14th at Flatiron Hall from 7-9pm. If you’re signed up for Technology Salon emails, you’ll find the invitation in your inbox! Salons run under Chatham House Rule so no attribution has been made in this post. If you’d like to attend a future Salon discussion, join the list at Technology Salon. At our November 18th Technology Salon, we discussed how different organizations are developing their ICT for development (ICT4D) strategies. We shared learning on strategy development and buy-in, talked about whether organizations should create special teams or labs for ICT- and innovation-related work or mainstream the ICT4D function, and thought about how organizations can define and find the skill sets needed for taking their ICT-enabled work forward. Population Council’s Stan Mierzwa, Oxfam America’s Neal McCarthy, and Cycle Technologies’ Leslie Heyer joined as lead discussants, and we heard from Salon participants about their experiences too. Participating organizations were at various stages of ICT4D work, but most had experienced similar challenges and frustrations with taking their work forward. Even organizations that had created ICT4D strategies a couple of years ago said that implementation was slow. working more closely with human resources teams who often do not understand ICT4D-related job descriptions and the profile needed. Our second discussant said that his organization developed an ICT4D strategy in order to secure resources and greater support for moving ICT4D forward. It was also starting to be unwieldy to manage all of the different ideas and tools being used across the organization, and it seemed that greater harmonization would allow for improved IT support for more established tools as well as establishment of other ways to support new innovations. In this case, the organization looked at ICTs as two categories: technology for development workers and technology for development outcomes. They used Gartner’s ‘pace layered’ model (which characterizes systems of innovation, systems of differentiation, and systems of record) as a way of analyzing the support roles of different departments. One of the initial actions taken by this organization was establishing a small tech incubation fund that different offices could apply for in order to try something new with ICTs in their programs and campaigns. Another action was to take 10 staff to the Catholic Relief Services (CRS) ICT4D conference to learn more about ICT4D and to see what their peers from similar organizations were doing. In return for attending the conference, staff were required to submit a proposal for the tech incubation fund. For the development of the strategy document and action plan, the ICT4D strategy team worked with a wider group of staff to develop a list of current ICT-enabled initiatives and a visual heat map of actions and activities across the organization. This formed the basis for discussions on where lots of ICT4D activities were happening and where there was nothing going on with ICTs. The team then discussed what the organization should do strategically to support and potentially consolidate existing activities and what should be done about areas where there were few ICT-related activities – should those areas be left alone or was there a reason to look at them to see if ICT should be incorporated? Having done that, the organization adapted Nethope’s Organizational Guide to ICT4D to fit its own structure and culture, and used it as a framework for ICT4D strategy discussions with key staff from different teams. The Nethope guide suggests five key functions for strategic, organization-wide ICT4D: lead organizational change, drive knowledge exchange, build a portfolio, manage processes, and develop an advisory service (see below). The aforementioned activities were also clustered according to which of these 5 areas they fell into. Salon participants agreed that it was important to know how to “sell” an ICT4D-related idea to frontline staff, management and leadership. Some ways to do this include demonstrating the value-add of ICTs in terms of longer-term cost and time efficiencies, showing the benefit of real-time data for decision-making, and demonstrating what peer organizations are doing. Organizations often also need someone at the top who is pushing for change and modernization. Our third discussant said that her company has been shifting from a commercial product developer to a full-fledged technology company. She outlined the need for strategic thinking along that journey. Initially, the company outsourced activities such as research and data collection. With time, it started to pull key functions in house since systems maintenance and technology has become a core part of the business. Salon participants highlighted hiring and human resources departments as a big barrier when it comes to ICT4D. It is often not clear what kinds of skills are needed to implement ICT4D programs, and human resources teams often screen for the wrong skill sets because they do not understand the nature of ICT4D. ‘I always make them give me all the CVs and screen them myself,’ said one person. ‘If not, some of the best people will not make it to the short list.’ Engaging with human resources and sharing the ICT4D strategy is one way to help with better hiring and matching of job needs with skill sets that are out there and potentially difficult to find. In conclusion, whether the ICT4D strategy is to mainstream, to isolate and create a ‘lab,’ or to combine approaches, it seems that most organizations are struggling a bit to develop and/or implement ICT4D strategies due to the multiple pain points of slow organizational change and the need for more capacity and resources. Some are making headway, however, and developing clearer thinking and action plans that are paying off in the short term, and that may set the organizations up for eventual ICT4D success. Thanks to Population Council for hosting this Salon! If you’d like to join discussions like this one, sign up at Technology Salon. Salons are held under Chatham House Rule. No attribution has been made in this post. Our April 21st NYC Technology Salon focused on issues related to the LGBT ICT4D community, including how LGBTQI issues are addressed in the context of stakeholders and ICT4D staff. We examined specific concerns that ICT4D practitioners who identify as LGBTQI have, as well as how LGBTQI stakeholders are (or are not) incorporated into ICT4D projects, programs and policies. Among the many issues covered in the Salon, the role of the Internet and mobile devices for both community building and surveillance/security concerns played a central part in much of the discussion. To frame the discussion, participants were asked to think about how LGBTQI issues within ICT4D (and more broadly, development) are akin to gender. 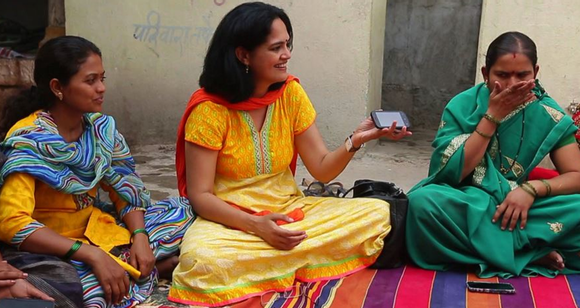 Mainstreaming gender in development starts with how organizations treat their own staff. Implementing programs, projects and policies with a focus on gender cannot happen if the implementers do not first understand how to treat staff, colleagues and those closest to them (i.e. family, friends). Likewise, without a proper understanding of LGBTQI colleagues and staff, programs that address LGBTQI stakeholders will be ineffective. The lead discussants of the Salon were Mala Kumar, writer and former UN ICT4D staff, Tania Lee, current IRC ICT4D Program Officer, and Robert Valadéz, current UN ICT4D staff. Linda Raftree moderated the discussion. The first discussant pointed out how we as ICT4D/development practitioners think of the acronym LGBTQI, particularly the T and I – transgender and intersex. Often, development work focuses on the sexual identity portion of the acronym (the LGBQ), and not what is considered in Western countries as transgenderism. As one participant said, the very label of “transgender” is hard to convey in many countries where “third gender” and “two-spirit gender” exist. These disagreements in terminology have – in Bangladesh and Nepal for example – resulted in creating conflict and division of interest within LGBTQI communities. In other countries, such as Thailand and parts of the Middle East, “transgenderism” can be considered more “normal” or societally acceptable than homosexuality. Across Africa, Latin America, North America and Europe, homosexuality is a better understood – albeit sometimes severely criminalized and socially rejected – concept than transgenderism. One participant cited that in her previous first-hand work on services for lesbian, gay and bisexual people; often in North America, transgender communities are prioritized less in LGBTQI services. In many cases she saw in San Francisco, homeless youth would identify as anything in order to gain access to needed services. Only after the services were provided did the beneficiaries realize the consequences of self-reporting or incorrectly self-reporting. For many people, the very notion of self-identifying as LGBTQI poses severe security risks. From a data collection standpoint, this results in large problems in accurate representation of populations. It also results in privacy concerns. As one discussant mentioned, development and ICT4D teams often do not have the technical capacity (i.e. statisticians, software engineers) to properly anonymize data and/or keep data on servers safe from hackers. On the other hand, the biggest threat to security may just be “your dad finding your phone and reading a text message,” as one person noted. Our second lead discussant spoke about being (and being perceived as) an LGBTQI staff member in ICT4D. She noted that many of the ICT4D hubs, labs, centers, etc. are in countries that are notoriously homophobic. Examples include Uganda (Kampala), Kenya (Nairobi), Nigeria (Abuja, Lagos), Kosovo and Ethiopia (Addis). This puts people who are interested in technology for development and are queer at a distinct disadvantage. Some of the challenges she highlighted include that ICT4D attracts colleagues from around the world who are the most likely to be adept at computers and Internet usage, and therefore more likely to seek out and find information about other staff/colleagues online. If those who are searching are homophobic, finding “evidence” against colleagues can be both easy and easy to disseminate. Along those lines, ICT4D practitioners are encouraged (and sometimes necessitated) to blog, use social media, and keep an online presence. In fact, many people in ICT4D find posts and contracts this way. However, keeping online professional and personal presences completely separate is incredibly challenging. Since ICT4D practitioners are working with colleagues most likely to actually find colleagues online, queer ICT4D practitioners are presented with a unique dilemma. ICT4D practitioners are arguably the set of people within development that are the best fitted to utilize technology and programmatic knowledge to self-advocate as LGBT staff and for LGBT stakeholder inclusion. However, how are queer ICT4D staff supposed to balance safety concerns and professional advancement limitations when dealing with homophobic staff? This issue is further compounded (especially in the UN, as one participant noted) by being awarded the commonly used project-based contracts, which give staff little to no job security, bargaining power or general protection when working overseas. A participant who works in North America for a Kenyan-based company said that none of her colleagues ever mentioned her orientation, even though they must have found her publicly viewable blog on gender and she is not able to easily disguise her orientation. She talked about always finding and connecting to the local queer community wherever she goes, often through the Internet, and tries to support local organizations working on LGBT issues. Still, she and several other participants and discussants emphasized their need to segment online personal and professional lives to remain safe. Another participant mentioned his time working in Ethiopia. The staff from the center he worked with made openly hostile remarks about gays, which reinforced his need to stay closeted. He noticed that the ICT staff of the organization made a concerted effort to research people online, and that Facebook made it difficult, if not impossible, to keep personal and private lives separate. Another person reiterated this point by saying that as a gay Latino man, and the first person in his family to go to university, grad school and work in a professional job, he is a role model to many people in his community. He wants to offer guidance and support, and used to do so with a public online presence. However, at his current internationally-focused job he feels the need to self-censor and has effectively limited talking about his public online presence, because he often interacts with high level officials who are hostile towards the LGBTQI community. One discussant also echoed this idea, saying that she is becoming a voice for the queer South Asian community, which is important because much of LGBT media is very white. The tradeoff for becoming this voice is compromising her career in the field because she cannot accept a lot of posts because they do not offer adequate support and security. Several participants and discussants offered their own experiences on the various levels of hostility and danger involved with even being suspected as gay. One (female) participant began a relationship with a woman while working in a very conservative country, and recalled being terrified at being killed over the relationship. Local colleagues began to suspect, and eventually physically intervened by showing up at her house. This participant cited her “light skinned privilege” as one reason that she did not suffer serious consequences from her actions. Another participant recounted his time with the US Peace Corps. After a year, he started coming out and dating people in host country. When one relationship went awry and he was turned into the police for being gay, nothing came of the charges. Meanwhile, he saw local gay men being thrown into – and sometimes dying in – jail for the same charges. He and some other participants noted their relative privilege in these situations because they are white. This participant said he felt that as a white male, he felt a sense of invincibility. In contrast, a participant from an African country described his experience growing up and using ICTs as an escape because any physical indication he was gay would have landed him in jail, or worse. He had to learn how to change his mannerisms to be more masculine, had to learn how to disengage from social situations in real life, and live in the shadows. One of the discussants echoed these concerns, saying that as a queer woman of color, everything is compounded. She was recruited for a position at a UN Agency in Kenya, but turned the post down because of the hostility towards gays and lesbians there. However, she noted that some queer people she has met – all white men from the States or Europe – have had overall positive experiences being gay with the UN. One person brought up the “predator” stereotype often associated with gay men. He and his partner have had to turn down media opportunities where they could have served as role models for the gay community, especially poor, gay queer men of color, (who are one of the most difficult socioeconomic classes to reach) out of fear that this stereotype may impact on their being hired to work in organizations that serve children. One participant who grew up in Cameroon mentioned that queer communities in his country use the Internet cautiously, even though it’s the best resource to find other queer people. The reason for the caution is that government officials have been known to pose as queer people to bait real users for illegal gay activity. Several other participants cited this same phenomenon in different forms. A recent article talked about Egypt using new online surveillance tactics to find LGBTQI people. Some believe that this type of surveillance will also happen in Nigeria, a notoriously hostile country towards LGBTQI persons and other places. There was also discussion about what IP or technology is the safest for LGBTQI people. While the Internet can be monitored and traced back to a specific user, being able to connect from multiple access points and with varying levels of security creates a sense of anonymity that phones cannot provide. A person also generally carries phones, so if the government intercepts a message on either the originating or receiving device, implications of existing messages are immediate unless a user can convince the government the device was stolen or used by someone else. In contrast, phones are more easily disposable and in several countries do not require registration (or a registered SIM card) to a specific person. In Ethiopia, the government has control over the phone networks and can in theory monitor these messages for LGBTQI activity. This poses a particular threat since there is already legal precedent for convictions of illegal activity based on text messages. In some countries, major telecom carriers are owned by a national government. In others, major telecom carries are national subsidiaries of an international company. Another major concern raised relates back to privacy. Many major international development organizations do not have the capacity or ability to retain necessary software engineers, ICT architects and system operators, statisticians and other technology people to properly prevent Internet hacks and surveillance. In some cases, this work is illegal by national government policy, and thus also requires legal advocacy. The mere collection of data and information can therefore pose a security threat to staff and stakeholders – LGBTQI and allies, alike. One discussant asked the group for data or anecdotal information related to the “queer divide.” A commonly understood problem in ICT4D work are divides – between genders, urban and rural, rich and poor, socially accepted and socially marginalized. There have also been studies to clearly demonstrate that people who are naturally extroverted and not shy benefit more from any given program or project. As such, is there any data to support a “queer divide” between those who are LGBTQI and those who are not, he wondered. As demonstrated in the above sections, many queer people are forced to disengage socially and retreat from “normal” society to stay safe. What can we do moving forward? Engage relevant organizations, such as Out in Tech and Lesbians who Tech, with specific solutions, such as coding privacy protocols for online communities and helping grassroots organizations target ads to relevant stakeholders. Lobby smartphone manufacturers to increase privacy protections on mobile devices. Lobby US and other national governments to introduce “Right to be forgotten” law, which allows Internet users to wipe all records of themselves and personal activity. Support organizations and services that offer legal council to those in need. Demand better and more comprehensive protection for LGBTQI staff, consultants and interns in international organizations. In some countries, a government owns telecom companies. In others, telecom companies are national subsidiaries of international corporations. In countries in which the government is actively or planning on actively surveying networks for LGBTQI activity, how does the type of telecom company factor in? What datasets do we need on LGBTQI people for better programming? How do we properly anonymize data collected? What are the standards of best practices? What policies need to be in place to better protect LGBTQI staff, consultants and interns? What kind of sensitizing activities, trainings and programming need to be done for local staff and less LGBTQI sensitive international staff in ICT4D organizations? How much capacity have ICT4D/international organizations lost as a result of their policies for LGBTQI staff and stakeholders? What are the roles and obligations of ICT4D/international organizations to their LGBTQI staff, now and in the future? What are the ICT4D and international development programmatic links with LGBT stakeholders and staff? How does LGBT stakeholders intersect with water? Public health? Nutrition? Food security? Governance and transparency? Human rights? Humanitarian crises? How does LGBT staff intersect with capacity? Trainings? Programming? 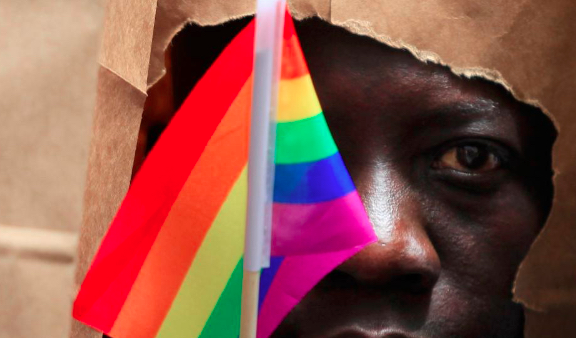 How do we safely and responsibility increase visibility of LGBTQI people around the world? How do we engage tech companies that are pro-LGBTQI, including Google, to do more for those who cannot or do not engage with their services? What are the economic costs of homophobia, and does this provide a compelling enough case for countries to stop systemic LGBTQI-phobic behavior? How do we mainstream LGBTQI issues in bigger development conferences and discussions? 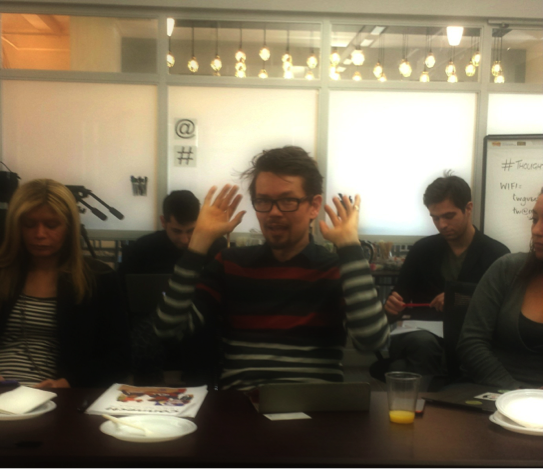 Thanks to the great folks at ThoughtWorks for hosting and providing a lovely breakfast to us! Technology Salons are carried out under Chatham House Rule, so no attribution has been made. If you’d like to join us for Technology Salons in future, sign up here! Plan International’s Finnish office has just published a thorough user-friendly guide to using ICTs in community programs. The guide has been in development for over a year, based on experiences and input from staff working on the ground with communities in Plan programs in several countries. It was authored and facilitated by Hannah Beardon, who also wrote two other great ICT4D guides for Plan in the past: Mobiles for Development (2009) and ICT Enabled Development (2010). The guide is written in plain language and comes from the perspective of folks working together with communities to integrate ICTs in a sustainable way. It’s organized into 8 sections, each covering a stage of project planning, with additional practical ideas and guidance in the annexes at the end. One thing I especially like about the guide is that it doesn’t push ICTs or particular ‘ICT solutions’ (I really hate that term for some reason!). Rather, it helps people to look at the information and communication needs in a particular situation and to work through a realistic and contextually appropriate process to resolve them, which may or may not involve digital technology. It also assumes that people in communities, district offices and country offices know the context best, and simply offers a framework for pulling that knowledge together and applying it. 99% of my hands-on experience using ICTs in development programming comes from my time at Plan International, much of it spent working alongside and learning from the knowledgeable folks who put this guide together. So I’m really happy to see that now other people can benefit from their expertise as well! Let @vatamik know if you have questions, or if you have feedback for them and the team! Download “A practical guide to using ICTs” here. I attended the African Evaluators’ Conference (AfrEA) in Cameroon last week as part of the Technology and Evaluation strand organized by Pact with financial support from The Rockefeller Foundation’s Evaluation Office and The MasterCard Foundation. The strand was a fantastic opportunity for learning, sharing and understanding more about the context, possibilities and realities of using ICTs in monitoring and evaluation (M&E). We heard from a variety of evaluators, development practitioners, researchers, tool-developers, donors, and private sector and government folks. Judging by the well-attended sessions, there is a huge amount of interest in ICTs and M&E. Rather than repeat what’s I’ve written in other posts (see links at the bottom), I’ll focus here on some of the more relevant, interesting, and/or new information from the AfrEA discussions. This first post will go into institutional issues and the ‘field’ of ICTs and M&E. A second post will talk about design and operational tips I learned /was reminded of at AfrEA. 1) We tend to get stuck on data collection –Like other areas (I’m looking at you, Open Data) conversations tend to revolve around collecting data. We need to get beyond that and think more about why we are collecting data and what we are going to do with it (and do we really need all this data?). The evaluation field also needs to explore all the other ways it could be using ICTs for M&E, going beyond mobile phones and surveys. 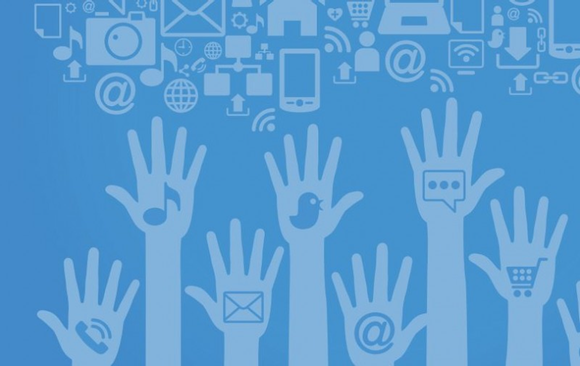 Collecting data is clearly a necessary part of M&E, but those data still need to be analyzed. As a participant from a data visualization firm said, there are so many ways you can use ICTs – they help you make sense of things, you can tag sentiment, you can visualize data and make data-based decisions. Others mentioned that ICTs can help us to share data with various stakeholders, improve sampling in RCTs (Randomized Control Trials), conduct quality checks on massive data sets, and manage staff who are working on data collection. Using big data, we can do analyses we never could have imagined before. We can open and share our data, and stop collecting the same data from the same people multiple times. We can use ICTs to share back what we’ve learned with evaluation stakeholders, governments, the public, and donors. The range of uses of ICTs is huge, yet the discussion tends to get stuck on mobile surveys and data collection, and we need to start thinking beyond that. 2) ICTs are changing how programs are implemented and how M&E is done — When a program already uses ICTs, data collection can be built in through the digital device itself (e.g., tracking user behavior, cookies, and via tests and quizzes), as one evaluator working on tech and education programs noted. As more programs integrate digital tools, it may become easier to collect monitoring and evaluation data with less effort. Along those lines, an evaluator looking at a large-scale mobile-based agricultural information system asked about approaches to conducting M&E that do not rely on enumerators and traditional M&E approaches. In his program, because the farmers who signed up for the mobile information service do not live in the same geographical community, traditional M&E approaches do not seem plausible and ICT-based approaches look like a logical answer. There is little documentation within the international development evaluation community, however, on how an evaluator might design an evaluation in this type of a situation. (I am guessing there may be some insights from market research and possibly from the transparency and accountability sectors, and among people working on “feedback loops”). 3) Moving beyond one-off efforts — Some people noted that mobile data gathering is still done mostly at the project level. Efforts tend to be short-term and one-off. The data collected is not well-integrated into management information systems or national level processes. (Here we may reference the infamous map of mHealth pilots in Uganda, and note the possibility of ICT-enabled M&E in other sectors going this same route). Numerous small pilots may be problematic if the goal is to institutionalize mobile data gathering into M&E at the wider level and do a better job of supporting and strengthening large-scale systems. 4) Sometimes ICTs are not the answer, even if you want them to be – One presenter (who considered himself a tech enthusiast) went into careful detail about his organization’s process of deciding not to use tablets for a complex evaluation across 4 countries with multiple indicators. In the end, the evaluation itself was too complex, and the team was not able to find the right tool for the job. The organization looked at simple, mid-range and highly complex applications and tools and after testing them all, opted out. Each possible tool presented a set of challenges that meant the tool was not a vast improvement over paper-based data collection, and the up-front costs and training were too expensive and lengthy to make the switch to digital tools worthwhile. In addition, the team felt that face-to-face dynamics in the community and having access to notes and written observations in the margins of a paper survey would enable them to conduct a better evaluation. Some tablets are beginning to enable more interactivity and better design for surveys, but not yet in a way that made them a viable option for this evaluation. I liked how the organization went through a very thorough and in-depth process to make this decision. Other colleagues also commented that the tech tools are still not quite ‘there’ yet for M&E. Even top of the line business solutions are generally found to be somewhat clunky. Million dollar models are not relevant for environments that development evaluators are working in; in addition to their high cost, they often have too many features or require too much training. There are some excellent mid-range tools that are designed for the environment, but many lack vital features such as availability in multiple languages. Simple tools that are more easily accessible and understandable without a lot of training are not sophisticated enough to conduct a large-scale data collection exercise. One person I talked with suggested that the private sector will eventually develop appropriate tools, and the not-for-profit sector will then adopt them. She felt that those of us who are interested in ICTs in M&E are slightly ahead of the curve and need to wait a few years until the tools are more widespread and common. Many people attending the Tech and M&E sessions at AfrEA made the point that use of ICTs in M&E would get easier and cheaper as the field develops, tools get more advanced/appropriate/user-friendly and widely tested, and networks/ platforms/ infrastructure improves in less-connected rural areas. 5) Need for documentation, evaluation and training on use of ICTs in M&E – Some evaluators felt that ICTs are only suitable for routine data collection as part of an ongoing program, but not good for large-scale evaluations. Others pointed out that the notions of ‘ICT for M&E’ and ‘mobile data collection/mobile surveys’ are often used interchangeably, and evaluation practitioners need to look at the multiple ways that ICTs can be used in the wider field of M&E. ICTs are not just useful for moving from paper surveys to mobile data gathering. An evaluator working on a number of RCTs mentioned that his group relies on ICTs for improving samples, reducing bias, and automatically checking data quality. There was general agreement that M&E practitioners need resources, opportunities for more discussion, and capacity strengthening on the multiple ways that ICTs may be able to support M&E. One evaluator noted that civil society organizations have a tendency to rush into things, hit a brick wall, and then cross their arms and say, “well, this doesn’t work” (in this case, ICTs for M&E). With training and capacity, and as more experience and documentation is gained, he considered that ICTs could have a huge role in making M&E more efficient and effective. One evaluator, however, questioned whether having better, cheaper, higher quality data is actually leading to better decisions and outcomes. Another evaluator asked for more evidence of what works, when, with whom and under what circumstances so that evaluators could make better decisions around use of ICTs in M&E. Some felt that a decision tree or list of considerations or key questions to think through when integrating ICTs into M&E would be helpful for practitioners. In general, it was agreed that ICTs can help overcome some of our old challenges, but that they inevitably bring new challenges. Rather than shy away from using ICTs, we should try to understand these new challenges and find ways to overcome/work around them. Though the mHealth field has done quite a bit of useful research, and documentation on digital data collection is growing, use of ICTs is still relatively unexplored in the wider evaluation space. 6) There is no simple answer. One of my takeaways from all the sessions was that many M&E specialists are carefully considering options, and thinking quite a lot about which ICTs for what, whom, when and where rather than deciding from the start that ICTs are ‘good and beneficial’ or ‘bad and not worth considering.’ This is really encouraging, and to be expected of a thoughtful group like this. I hope to participate in more discussions of this nature that dig into the nuances of introducing ICTs into M&E. Some new resources and forthcoming documentation may help to further set the stage for better learning and application of ICTs in the M&E process. Pact has just released their Mobile Technology Toolkit, and Michael Bamberger and I are finishing up a paper on ICT-enabled M&E that might help provide a starting point and possible framework to move things forward. The “field” of ICTs in M&E is quite broad, however, and there are many ways to slice the cake. Here is the list of toolkits, blog posts and other links that we compiled for AfrEA – please add any that you think are missing! Our February 6th Technology Salon in New York City focused on the organizational challenges that development organizations face when trying to innovate or integrate ICTs into their programs and operations. We looked at the idea of “innovation” and different ways to approach it. We asked what “innovation” really means and why “technology” and “innovation” seem to always be used interchangeably. We shared ideas, challenges and good practice around supporting and encouraging staff, managers, and donors to experiment with new and better ways of doing things. A huge thank you to Somto Fab-Ukozor and Rachana Kumar for their collaboration on writing the summary below! Our lead discussants were Jessica Heinzelman, DAI’s senior ICT specialist; Chris Fabian, UNICEF’s advisor to the Executive Director on innovation and co-lead of UNICEF’s innovation lab; and Mika Valitalo, Plan Finland’s program manager for ICT4D. Different organizations bring in different ideas and definitions of innovation. Is innovation always synonymous with technology? Does it always require technology? For some organizations, “innovation” means doing things faster, better and differently in a way that adds value and has a concrete impact. Another lead discussant pointed out that innovation is not necessarily something brand new; it can be something that existed but that is used in a different way or simply different processes or ways of thinking, and innovation does not have to be technology. The concept of innovation is often misunderstood, he said, because “someone can come up with 10 crappy ideas that are new but that does not make them innovative or useful.” He also cautioned that innovation should not only be about replication and scale, yet donors sometimes decide that an idea is innovative and encourage organizations to replicate the idea, without ensuring that it is having a real or relevant impact across different local contexts. One discussant disagreed and said that there’s no innovation without technology; for example, 60% of kids are stunting in one of the greenest areas in the world because of lack to electrical grid; the provision of electricity is technology. Without the electrical grid, the country will never reach any of its developmental goals. Technology enables the work to happen. A different viewpoint, as another discussant explained, was that the application of the technology is the innovative part, not the technology itself. A key part of the Salon discussion focused on whether having dedicated resources fueled innovation, or whether the presence of challenges and constraints forces innovation. Some Salon participants felt that when people are faced with challenges such as less time, fewer resources, no office space, etc., they may find themselves being more innovative in order to overcome constraints. Others found that staff often use the excuse of not having time and resources as a reason for not innovating or thinking outside the box. Some felt that innovation is difficult to achieve within large bureaucratic institutions due to their risk averse cultures, whereas others felt that one of the benefits of large-scale organizations is having resources to innovate and then test and scale innovations. Participants did agree that regardless of the outside setting, some people are more inclined to be innovative – these people are easy to identify almost everywhere, as they are always coming up with new ideas and trying/testing things out. The key is to find a way for organizational structures to support and reward innovators. Different organizations approach the innovation question in different ways. One discussant said that at his organization, the innovation team spends 60% of its time working on problems the organization is facing at the moment; 20% of its time looking towards the future (a 3-5 year horizon) for ideas that have an immediate direct impact on its work; and 20% of its time on organizational redesign, in other words, how to work with users to create solutions that are not top down and that take advantage of the existing ecosystem. His innovations team is only interested in finding/creating innovations that could reach very large scale, such as 10,000,000 people or more. Working across organizational boundaries without “soul crushing bureaucracy” and having the real ability to work horizontally is one key to achieving these metrics. Identify the real incentives that someone has – individual or project – and the disincentives to innovating. It is important to look underneath the excuses people come up with such as time constraints and additional work, and find out what is driving them. 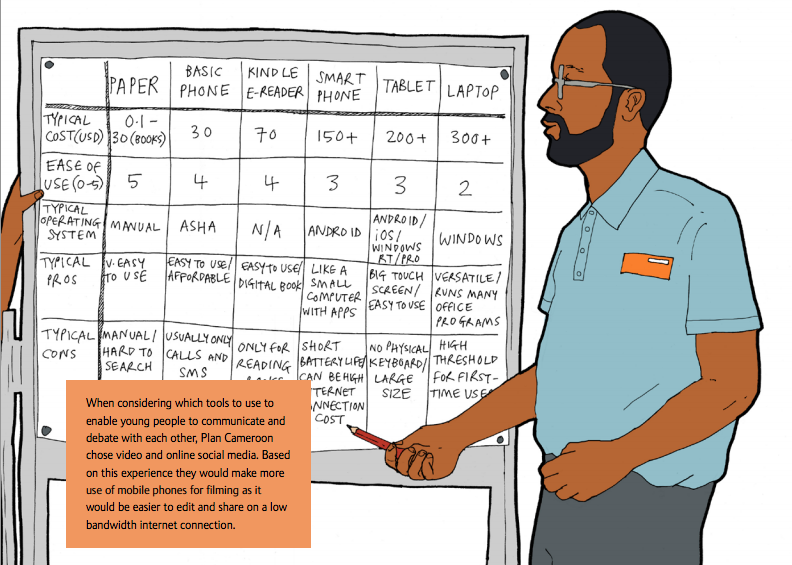 Hire realistic optimists – Sometimes in the ICT4D space, people gloss over the challenges and promote the technology. It is important to hire people who are grounded and have a good analytical sense, and who can think beyond gadgets and hype. Building and sharing expertise within the organization – Creating a champions group of mid-to entry-level professionals within the organization, who understand the power that new technology has, is another way to make innovation and ICT4D spread. Rather than keep the expertise isolated within a specialist unit, finding younger people who are hungry for knowledge and who see this kind of work as a way to help further their career and set themselves apart from their colleagues can help. Then the “innovation team” can provide them with support and guidance. Participatory workshops on new tools and approaches can be organized where these innovation champions are tasked to research and explore something and then present it. Equipped with tools and trainings, they will be able to better identify opportunities for innovation. Getting innovation into the plan early and working with those who are putting proposals and RFPs together to make sure that it is part of the metrics being measured from the beginning. It’s hard to add new elements into the program later because people will perceive it as additional work. One Salon participant said that her organization disconnected “innovation” from its other programs so that space for trying new things would be made, and the fear of failing would be reduced or “offloaded” to the innovation team. In this case, the unit is funded through private sources which support it to experiment. It still has to struggle for its existence and show the impact and value of either failure or success. Flexibility in program planning– In reality, most times during program implementation the plan changes and we have to figure out how to cope with it. The solution lies in the ability to quietly promote innovation and to influence donor organizations to embrace more flexible implementation. Integrating User-Centered-Design – Ethnographic research can help to better understand how people use technology locally and what its meaning is. It also helps identify existing patterns and ways of doing things that could be enhanced or shared with other communities if they are working well. Agile methodology from the software world can be pulled into development programs in order to end the top-down approach of solving problems from afar and having everything cooked up from the start. Rather, focusing on small iterations and the impact of the deliverables can be a better approach. Collaboration with Universities – Universities can be great places for working on and trying out new ideas. Links with universities can be used as ways to find solutions, but even moreso to “change the proteins” inside of a traditional organization. Collaboration among staff and students provides opportunities for staff to learn how to think about things differently and for students to understand real-world challenges in development agencies. Bridging the gap – Involving educators, health experts, child protection specialists and others who are not very interested in gadgets can bring about strong understanding of the real needs. Then connecting them with “techies” and ICTs in plain language and asking them to relate their own use of tech (they probably all use mobile phones in their personal lives, for example) to the ways that community members use tech can help to bring about solid, practical, sustainable and locally driven solutions. Provide a safe environment – Many humans are innovative by nature, said one discussant. Hierarchies and organizational processes are often what prevent people from doing new things. Giving feedback and psychological support can help those who are innovative to flourish within a difficult environment. The interdisciplinary approach – One Salon participant said that his organization had started to work with some senior staff to think and structure data in a way that would help them understand their challenges and programs better in order to innovate. This makes people more comfortable, and working across different teams with a variety of people and skill sets can help new ideas and solutions to bubble up. Information intermediaries – Infomediaries working at various levels can help connect people with technology, conduct training, and ensure that staff can acquire skills to use the technology themselves and in programs. Open source – Making project documents, budgets, concepts, “open” online can make them more accessible and help enable sustainable projects and prevent issues and costs associated with proprietary tools, applications and content. Younger management – There’s an age differential between the people who lead most large organizations and large-scale projects and those who are more interested in technology. One participant suggested it would be important to get younger people into positions where they can make contributions of ideas and decisions without being blocked by higher level people that may be “past their innovation prime.” Another solution may be to hire more experienced people but to ensure that they are open to working with younger people who bring in new ideas. (Some Salon participants, however, felt that age has nothing to do with innovation, and that it is more related to personality types and organizational environments). For additional resources on the Salon topic, look here – and add your resources as well. Bruce Lee explains why many open data and technology-led initiatives go wrong.